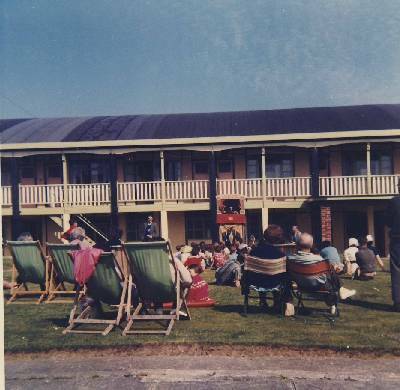 The Punch and Judy show taking place on the green between the swimming pool and Dinning room. It was made in 1962 and the seaside town scenes were filmed in Bognor Regis. Kay Sharp took her 5 year old son along to where the filming was taking place and Peter ended up being an 'extra' in the film which included him proudly queing up for his cup of tea at break time. It was filmed out of season so the beach scenes were flipping cold!